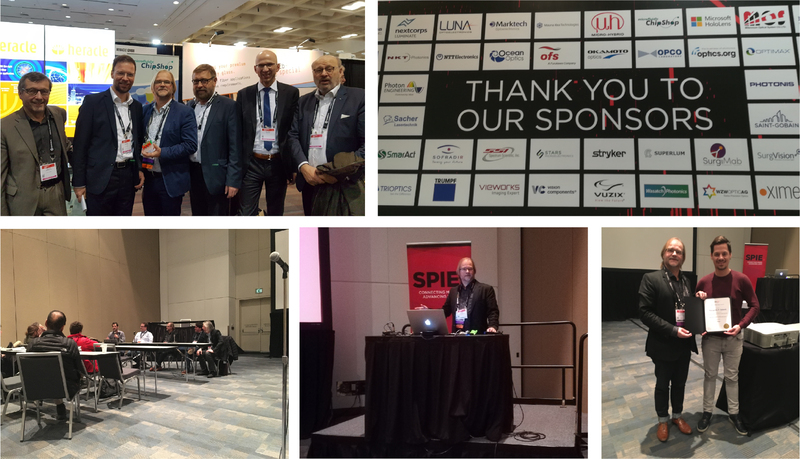 Our CSO Dr. Holger Becker has been busy at SPIE Photonics West 2019 in San Francisco, California, United States. Beside chairing the panel discussion on “Prospects and Future of Microfluidics” and giving a talk, he met the mayor of microfluidic ChipShop‘s home town Jena. Furthermore, he presented the Best Student Paper Award at the SPIE Microfluidics, BioMEMS and Medical Microsystems conference, sponsored by microfluidic ChipShop, to Panagiotis Galanis from the University of Southampton.